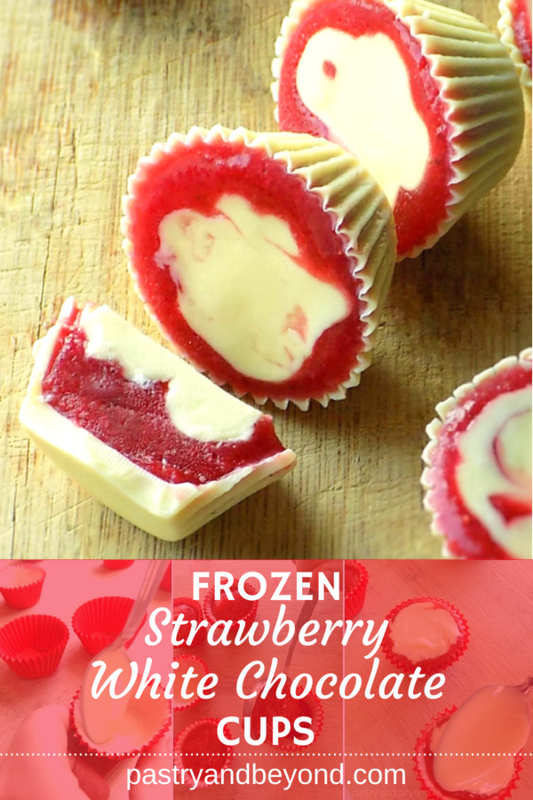 Frozen strawberry and white chocolate cups are so refreshing! White chocolate and strawberry combination is unbelievably tasty! 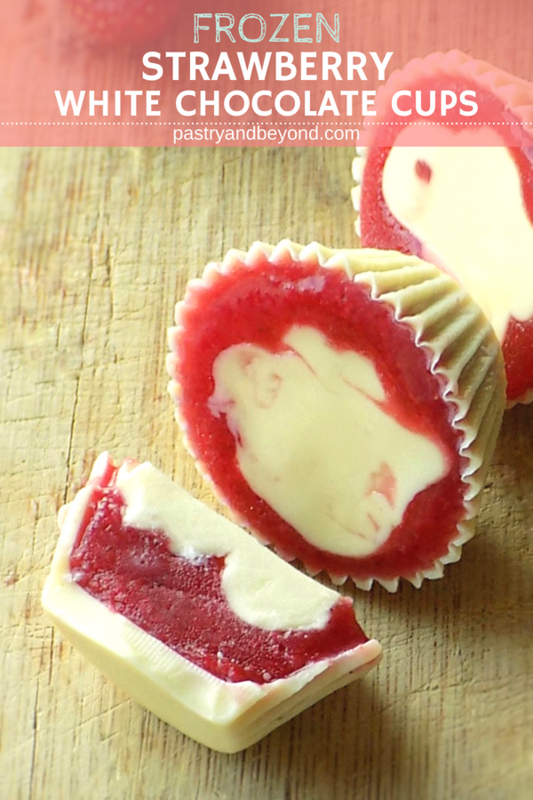 Today I share white chocolate cups with frozen strawberry. 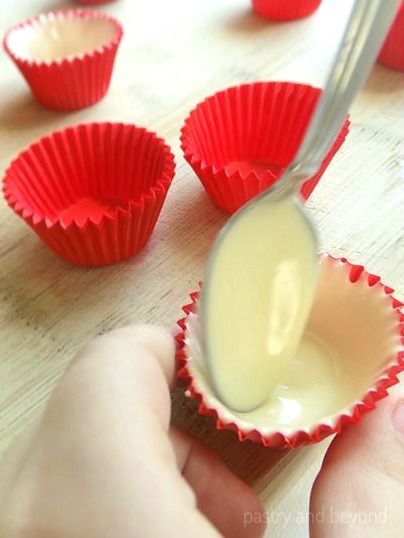 When you want to eat something cold, you can make these fancy looking but easy cups. I’ve made healthy frozen banana cups before with dark chocolate 82%cocoa. If you want, you can use dark chocolate and make these strawberry cups healthy. 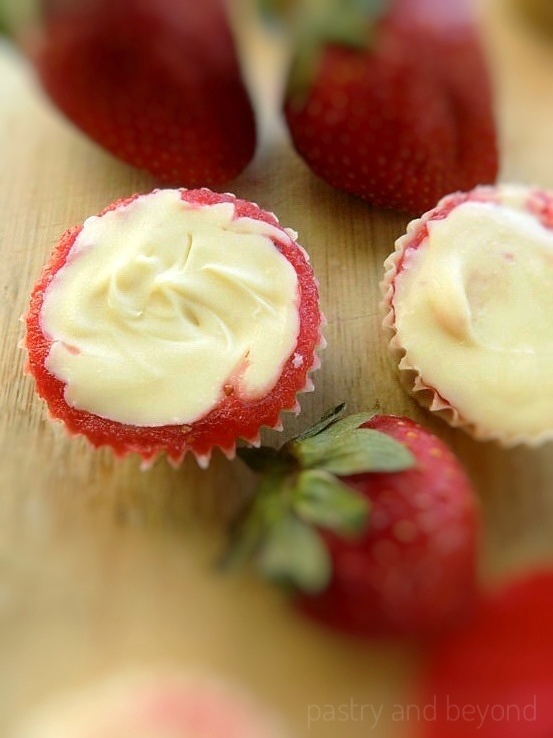 But you should definitely try this white chocolate & strawberry combination. So yummy! You can easily make these cups with your kids. My niece had a school holiday and I waited for that time to make these cups with her. I wanted her to make the chocolate cups and see how easy to make them. She loves ice cream, so I was sure that she would love frozen strawberry in the chocolate cups. She liked the idea, she even arranged the ingredients and took the picture below. We didn’t add any sugar to the strawberries as white chocolate has enough sugar. Our strawberries were not too sweet which was good as white chocolate is sweet enough. If the strawberries were too sweet, we would add a little bit lemon juice to balance the sweetness. 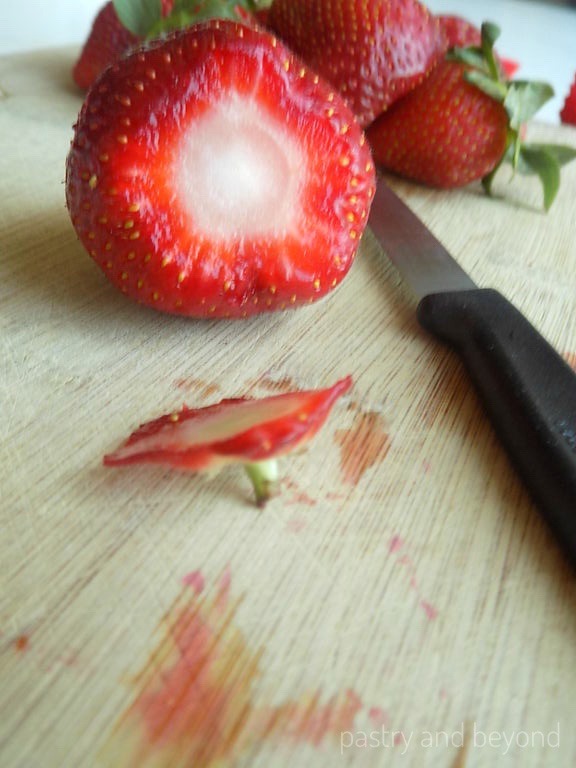 First, I cut the top of the strawberries. Then I placed them in the food processor and made them puree. I put the strawberry puree into a bowl and kept in the freezer until needed. 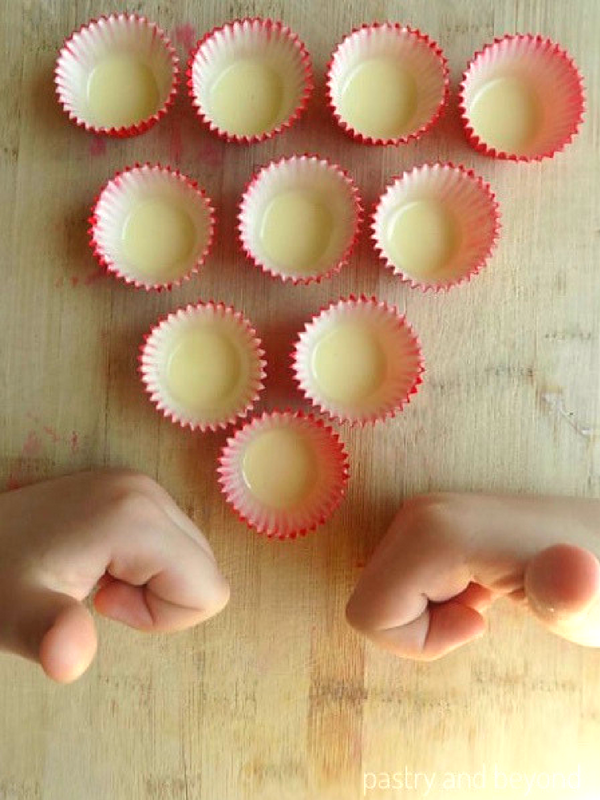 Later, I started making the white chocolate cups with my niece. First, I melt the white chocolate over bain marie. 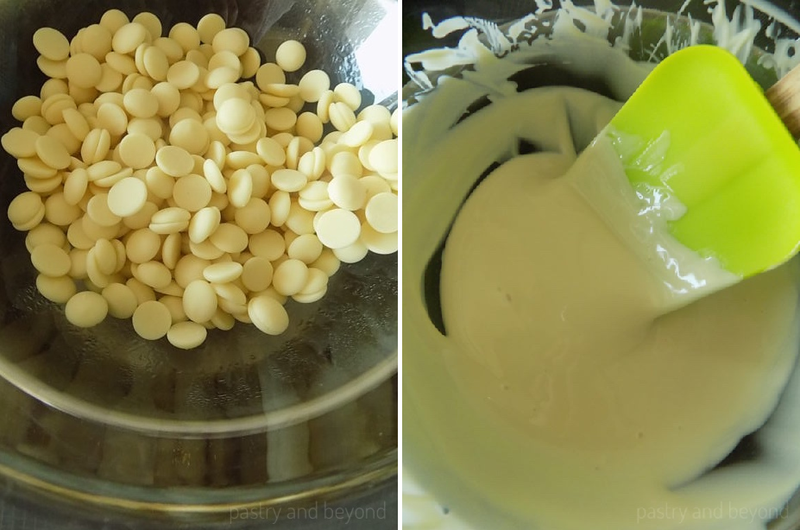 I placed the white chocolate morsels (you can use chopped chocolate too) into a heat proof bowl that sat over a pan of simmering water and stirred often until melted. Then, I transferred the bowl with melted chocolate to my niece. She poured 1 teaspoon of melted chocolate into the cups and she took chocolate from the bottom and used back of a spoon to cover the sides. She also took some more melted chocolate from the bowl as needed to cover the sides totally. Later, she arranged the cups and made a sign with her fingers to show everything was OK. 🙂 We kept the cups in the freezer until set for almost 15 minutes. 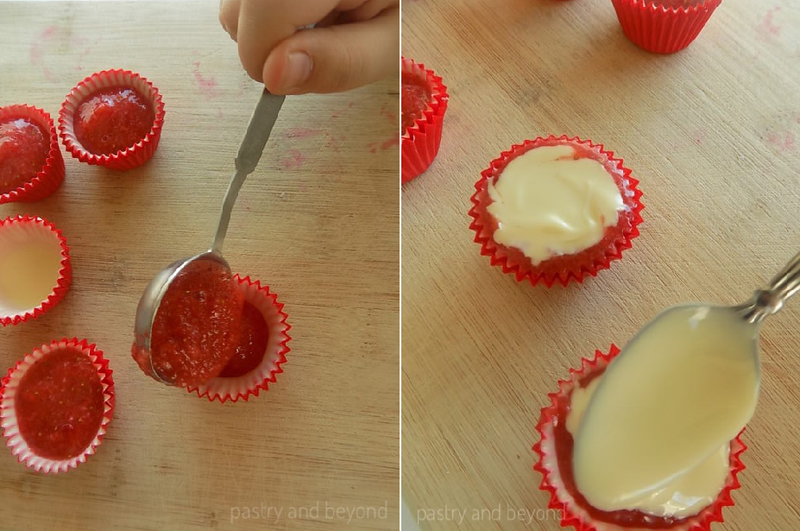 After the chocolate set, she put almost 1 tablespoon of strawberry puree into the cups. 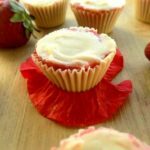 If you have a hard time putting the white chocolate on top, you can keep the cups with the strawberries in the freezer for some more time ( you can shorten the freezing time later). You can arrange the strawberry amount according to your taste. My niece put some of them a little less strawberry than others to get neat white chocolate cups, and she put some of them more strawberry and less chocolate on top. They both taste great and look good. We kept the cups in the fridge for 3 hours and then enjoyed these yummy cups. Even those who weren’t white chocolate fans loved these frozen cups. YOU CAN CLICK HERE AND SAVE THIS RECIPE TO YOUR PINTEREST BOARD! 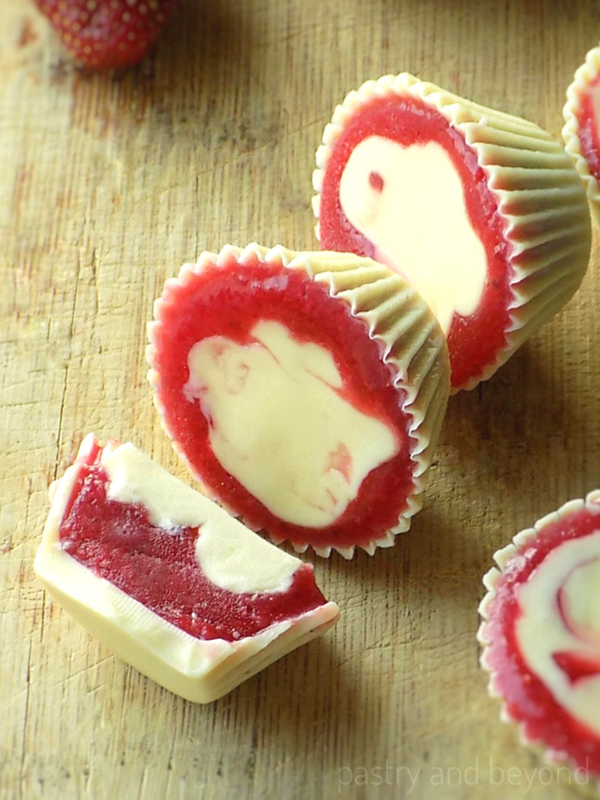 These frozen strawberry and white chocolate cups are very refreshing! 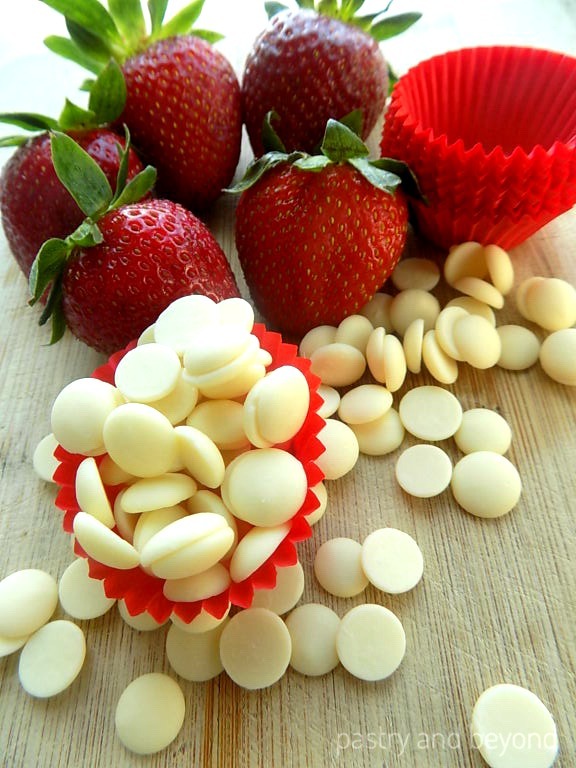 You will love the strawberry-white chocolate combination even if you are not a white chocolate lover. It takes only 15 minutes to prepare the cups. You should wait 3 hours to eat these delicious frozen cups. Place the white chocolate morsels/roughly chopped chocolate into a heat proof bowl that sits over a pan of simmering water. Stir often. 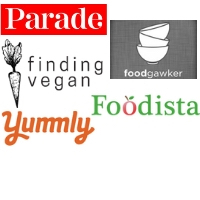 Take out 10 small cupcake papers. Put 1 teaspoon of melted chocolate into the cupcake papers. With the back of a spoon, cover the sides with chocolate. Use more melted chocolate as needed to cover uncovered parts. Keep the cupcake papers in the fridge to let the chocolate set for almost 15 minutes. 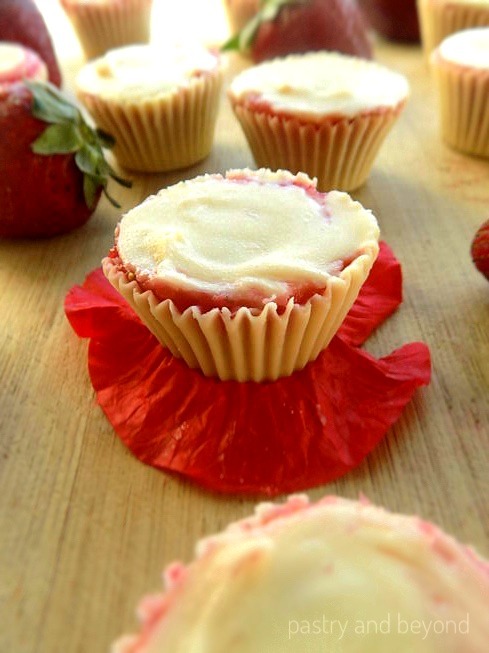 *If the strawberries are too sweet, you can add some lemon juice to balance the sweetness of the white chocolate.